Here's a look at some of the mobile games released this week. If you’re looking for a new mobile game to try this weekend, you have plenty of new options available, including Disney Magical Dice from Netmarble Games. The Monopoly-style board game allows up to four players to travel around a Disney-themed game board and spend coins to purchase properties. In addition, Rovio and Tag Games released Angry Birds Action on mobile. The game was inspired by pinball, and it challenges players to help the Angry Birds rescue eggs by flinging the birds around the playing field. Are you looking for something different to play? Here’s a look at some of the additional mobile games released this week. 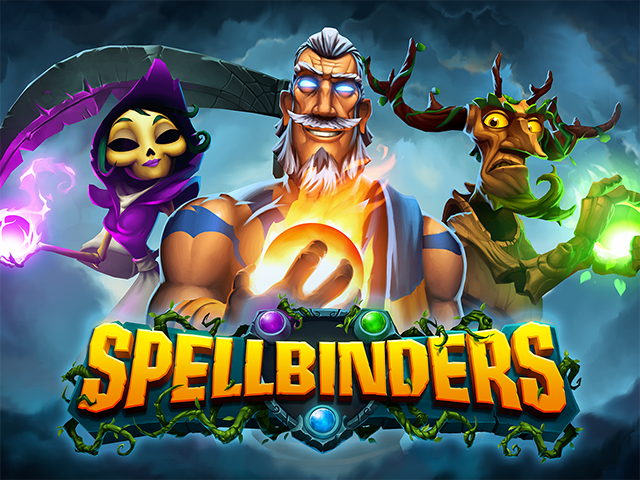 Spellbinders (Free on iOS, Android) – This multiplayer strategy game from Kiloo and Funday Factory combines elements from tower defense and multiplayer online battle arena games. The game allows players to select a Titan and control an army in battles, with the goal of destroying the enemy’s base on the far side of the screen. The battlefield is split into lanes, and players can spend mana (which they earn automatically over time) to deploy their minions or cast spells onto the battlefield. If minions from either team reach the cannons in the center of the screen, they can capture them for their team. Cannons will automatically attack the enemy base over time. Minions, meanwhile, will continue to walk across the battlefield, automatically attacking enemies in the same lane, or attacking the base if they’re allowed to reach it. Games end when one base runs out of hit points. Apestorm: Full Bananas ($0.99 on iOS, Android) – From Snowbound and Channel 4’s All 4 Games, Apestorm: Full Bananas is a side-scrolling zeppelin-bombing game, which asks players to help apes defeat humans who have destroyed the planet. In each of the game’s 20 levels, players can drop bombs on buildings and other man-made objects to earn points. However, if they hit a natural object, like a tree, they lose points. While the zeppelin flies automatically, players can control its speed and altitude to avoid obstacles and aim at targets. Users also have access to nine different power-ups, which can help them complete levels. Dino Bash (Free on iOS, Android) – From pokoko Studio and Tilting Point, this tower-defense game challenges players to help dinosaurs protect their eggs from hungry cavemen. During each level, players can deploy dinosaurs using apples, which recharge automatically over time. Dinosaurs will automatically attack approaching cavemen. Players can also help the dinosaurs by using weapons like bombs and traps to attack enemies. Gamers will unlock new kinds of dinosaurs over time, and they can upgrade them to make them stronger. Dino Bash includes 75 levels to complete. Tome of the Sun (Free on iOS, Android) – This action RPG from NetEase Games challenges players to protect the Sun Kingdom from evil forces. Players can choose to become a knight, mage, duelist or archer, and they can collect more than 1,000 gear, costume and accessory items for their hero. During battle, players tap on the ground to move, and their hero will automatically attack nearby enemies. Gamers can also tap buttons to trigger their hero’s special abilities. In addition to single-player battles, Tome of the Sun offers player vs. player modes, including an arena, clan wars and more. The Walking Dead: Michonne Episode 3: What We Deserve ($4.99 on iOS, Android, Amazon) – This final episode in a three-part series from Telltale Games follows Michonne as she tries to protect an innocent family. While playing, gamers can make choices impacting the story. Specifically, Telltale said players’ choices will determine who lives and who dies. This episode is available as an in-app purchase for players who already own the first episode of The Walking Dead: Michonne on mobile. Players have the option to purchase Episode 2 and Episode 3 in a bundle for $7.99.